Incredible orchestral music, impressive views, top musicians and first-class performances: at Whitsun the tranquil city of Mozart transforms into a cultural hot spot. After all, in addition to the Salzburg Festival and the Easter Festival, the Whitsun Festival is a key event in Salzburg's cultural calendar. A certified "Romantik Hotel", the Gersberg Alm is located on the edge of Salzburg, in a quiet location and yet still just minutes from the musical spectacle that is the Whitsun Festival. Be amazed by the theatrical and musical productions from famous directors, musicians and conductors on your holiday with us. 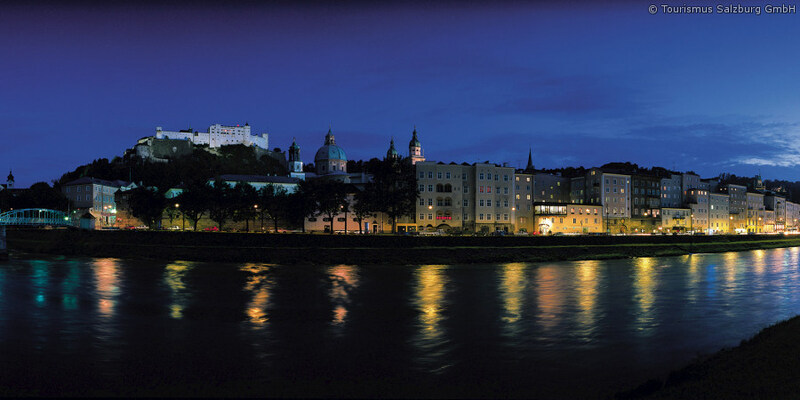 The Festival in Salzburg began in 1920. It was in this year that Max Reinhardt first staged Hugo von Hoffmansthal’s famous "Everyman" at Salzburg's Cathedral Square. In 1967 Herbert von Karajan brought the Easter Festival to life. In order to develop an entire festival year in Salzburg he held the Whitsun concerts in 1973, which turned into the Salzburg Whitsun Festival in 1998. The Whitsun Festival traditionally begins with an opera performance. Concerts by various composers and special events such as gala dinners or filmed opera performances are held until Whitsun Monday. The city of Salzburg is bustling during the festival. Would you like to visit the Whitsun Festival but still enjoy a bit of peace and quiet during your holiday in Salzburg? The Gersberg Alm hotel is the perfect accommodation for you. We look forward to your visit!